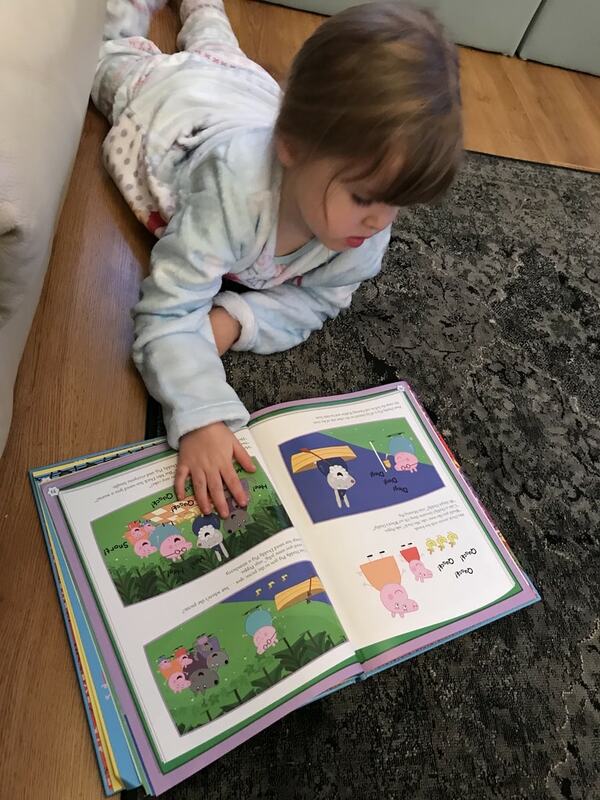 Lily is a huge Peppa Pig fan. 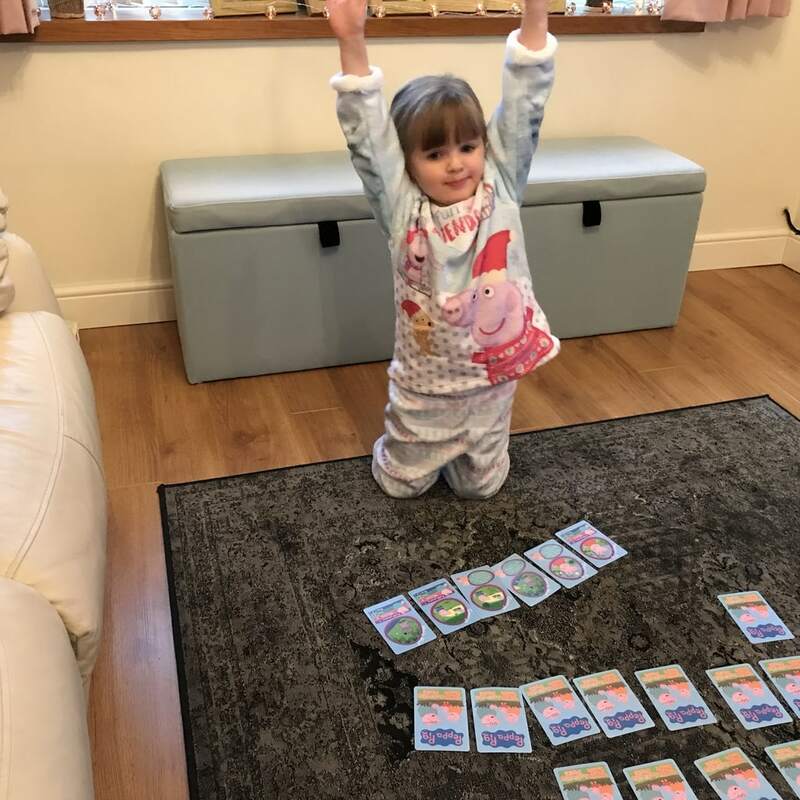 We took her to Peppa Pig World earlier this year and had an amazing day out – she was so excited she didn’t sleep for 2 nights beforehand! If you have an under 5 in your house then I’m going to hedge a bet and guess that you’ve got a Peppa Pig fan too? Want to know what Peppa Pig themed goodies are available to buy this Christmas? Look no further! 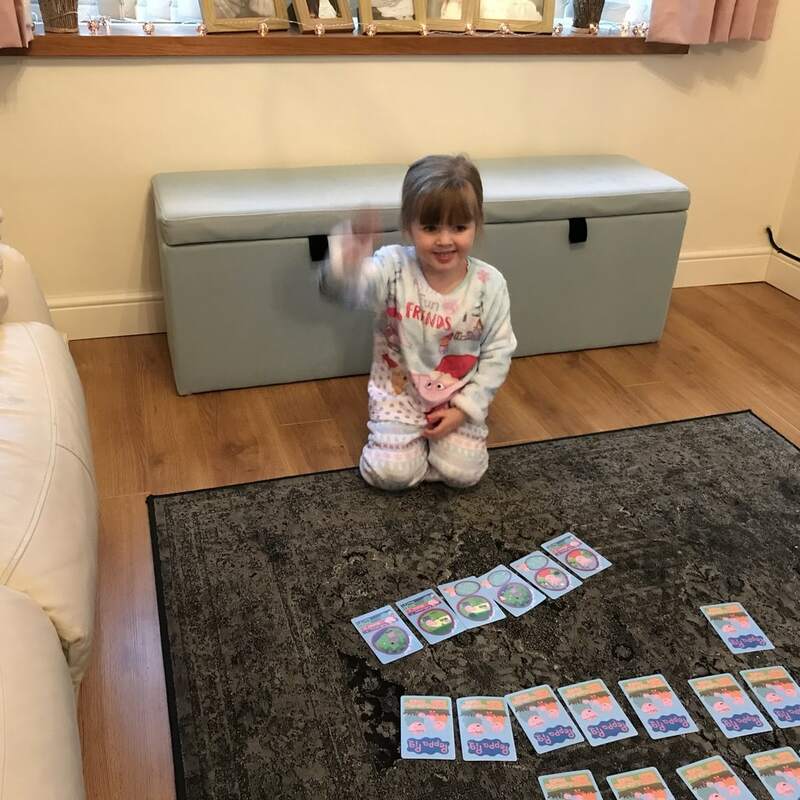 Top Trumps are great as you can play 5 different games using the one set of cards! Lily enjoyed playing pairs and snap best. Lily loves these pyjamas; they are so fleecy and cosy. They are available to buy from Asda. Lily absolutely loves this DVD – she loves singing and dancing along now she knows the words to the songs. This is packed full of Games, Stories and Activities and will definitely keep your little one amused. This set contains a pair of clip on earrings, bracelet, necklace, tiara and wand; we have had such fun today convincing Lily that the wand really is magical; the trick is getting them to shut their eyes when they say the spell! This game is packed full of fun features to help little ones learn letters and words. There are eight different games to choose from. This is the perfect companion for the Peppa Pig School House. The bus is brilliant it makes different sounds and even plays a little clip of the Bing Bong Song! I am sure that you will find something from this gift guide to please the Peppa Pig fan in your life. Disclosure: We provided with these items for free in exchange for an honest review.